A couple weeks ago, we posted some scenes from a few of our Henley Honda team members checking out the 2016 Honda Indy in Toronto. This was the 30th year of racing in the streets of Toronto, as well as the seventh straight year supporting Make-A-Wish Canada. Well, this week, we are proud and happy to report that the fan festival at the Toronto Indy once again showed how generous and caring race fans are. Total donations this year for Make-A-Wish Canada were sizeable, coming in just over $75,000! This amazing amount could not have been achieved without the generosity of race fans, as they contributed $30,000 – which was then matched by the Ontario Honda Dealers Association (OHDA) and the Honda Canada Foundation (HCF). Also playing a big role, were generous contributions of $10,000 and $5,000 from new partners Johnsonville Sausages and Tim Hortons. Instead of admission this year, attendees of the Fan Friday events were asked to make a donation to Make-A-Wish Canada. Donations were also accepted throughout the entire weekend at various events and demonstrations. 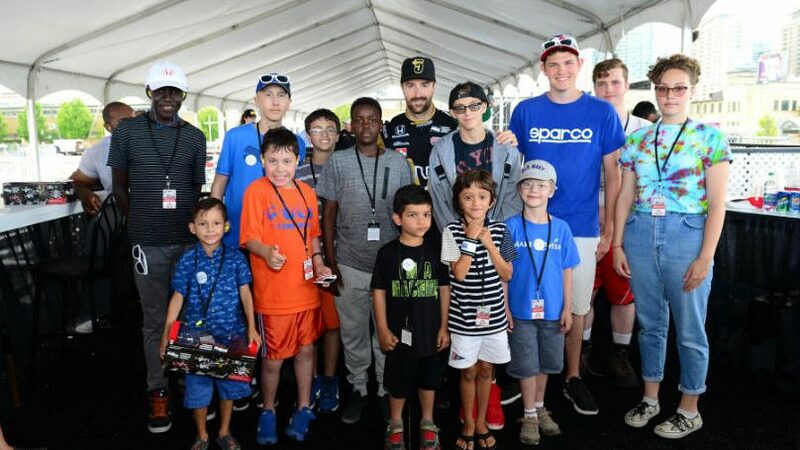 The GTA’s own and Honda ambassador, James Hinchcliffe, also made an appearance and took the time to mingle with fans and sign a few autographs, once again in support of Make-A-Wish Canada. He also met with a special group of children and their families from Make-A-Wish Canada. Once again, we are proud to be a part of a Honda family that cares so much about the community and the people it serves. Way to go, Honda Canada, and we can’t wait to see what next year’s Indy race in Toronto has in store!